Offer available for new players only. 18+begambleaware.org, 30 Day expiry on welcome bonus. 4x wagering forBingo. Read The T&C’s apply. Swanky Bingo is, quite simply, a fantastic place for you to play. Not only does it offer some fantastic bingo games, but it also has loads of different slots, as well as other casino games. Essentially, you’ll find whatever you’re looking for when you pay a visit to this superb website. You’ll be able to play in safety too, as this site is regulated by the UK Gambling Commission. Hold on tight, as the welcome you’ll receive at Swanky Bingo is absolutely stunning. Firstly, you’ll get a standard first deposit bonus, which adds 300% to your deposit, up to a maximum value of £120. That’s not all though, as you could also receive a grand total of 180 free spins over your first three deposits at the site, all of which can be used to play a variety of different games. There’s even more too, as you’ll also get to play up to £3,000 worth of free bingo over your first month at the site, and these free bingo games have real cash prizes. When everything is taken into account, we don’t think we’ve ever seen such a generous online bingo welcome bonus before! This site is designed in black and gold, colours that make it look fantastic and that really emphasize the “swanky” aspect of the site. You’ll find that the homepage contains everything you need to navigate around the site, including links to promotions and sections detailing the best bingo and slots games. All sections of the homepage are stitched together perfectly, and the same can be said for the rest of the site’s pages as well. So, Swanky Bingo really is a fantastic looking site, and this only adds to the enjoyment you’ll experience when you play. If you’re an online bingo fanatic, you’ll know that there are some software providers that are better than the rest. Cozy Games is one of these, and they are used to power the bingo offering at Swanky Bingo. This means you can be sure that the games will be incredibly high in quality, plus there will be loads of different players playing – something that leads to bigger prizes. Other software providers are used for the slots and casino games, and these names include NetEnt and Barcrest, two of the best names in the business. But what about the mobile software? Well, you’ll easily be able to play using your mobile device, as the website is fully optimised for all smartphones and tablets. There is no mobile app offered, however this isn’t a huge problem, thanks to the fact that the mobile website is such a good one. We’ll let you know if an iOS or Android app is released by Swanky Bingo at any point in the future. You won’t be disappointed when you look through the range of bingo games at Swanky Bingo. They have games taking place 24/7 and there are a number of different rooms for you to choose from. Big Ben is the most popular room, thanks to the big progressive jackpot on offer, however those looking for a cheaper way to play should head to the Victoria room. Both of the aforementioned rooms generally have lots of players in them, and the number can sometimes top the 100 mark, especially during the evenings. As already mentioned, new players can also play for free. They just need to head to the Newbie Room, where they’ll be able to meet loads of other players just taking their first steps into the exciting online bingo world. Slots have a big role to play at Swanky Bingo, and fans will be glad to hear that there are loads of them to choose from. They come from a variety of different software providers, however many think that the best games come from NetEnt. Some of the NetEnt slots you’ll be able to play at Swanky Bingo include Starburst, Gonzo’s Quest and Twin Spin Deluxe. All slots can be played for a variety of different stakes, although lower bets will cause the amount of money you could win to fall. Progressive jackpot fans will be very happy at Swanky Bingo, as there are plenty of versions of this type of game. The progressive slot with the biggest jackpot is nearly always Mega Moolah, however you can also find large prizes when you play Weather Man, Space Venture and Super Joker, amongst others. It’s easy to find the progressive slots, as they’re all in the “Jackpots” section of the site. 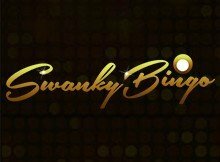 It’s incredibly easy to deposit at Swanky Bingo and there are many ways to add funds. As with most sites, the majority of people will deposit using a credit or debit card, however you can also use PayPal, Neteller, Skrill and Paysafecard. Those looking to make a deposit using their mobile bill will also be glad to see that Boku is an option. There are no fees for depositing (aside from when using Boku) and all deposits are credited to your account instantly. It’s also really easy to withdraw money, if you’re lucky enough to win some. Just follow the instructions laid out in the withdrawals section to initiate the transaction. You’ll then find that the processing time is 2-3 days, which is reasonable. You can cancel your withdrawal at any point during the processing period. As with all good sites, there are no charges for withdrawing money from Swanky Bingo. That’s pretty much everything you need to know about Swanky Bingo. It’s a site that offers everything, including a massive welcome bonus and a huge selection of different games. The prizes are pretty impressive too, both in the bingo rooms and at the slot machines. All you need to do now is head over to Swanky Bingo and sign up. You’ll find yourself scooping one of the best welcome bonuses in the online bingo world when you do! It is easy to reach customer service via the homepage, through either live chat or via e-mail. The live chat can be reached via the ‘help’ page.